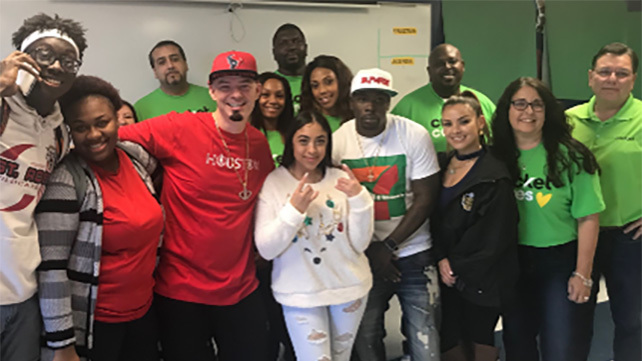 During Survivor Series weekend, Cricket Wireless partnered with Los Angeles community organization Homeboy Industries, which focuses on helping former gang members and inmates become productive members of their communities. With the help of Cricket, the organization was able to provide Thanksgiving meals to 100 members. This made a significant impact, as many members said, “If it weren’t for this event today, I wouldn’t even have a Thanksgiving.” Cricket brand ambassadors, WWE Superstars Sasha Banks and Charly Caruso, distributed the food items to the 100 members, providing unique photo opportunities and meaningful interactions with those members. We enable community leaders, influencers, and employees to generate smiles through surprise and delight executions.